Tip: Using fresh herbs is best, but in a pinch dried rosemary or dill will also work. And if you don’t have shallots, using a little sweet onion is also a good substitute. 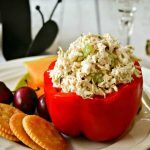 The Best Chicken Salad - fresh herbs make this chicken salad extra tasty. 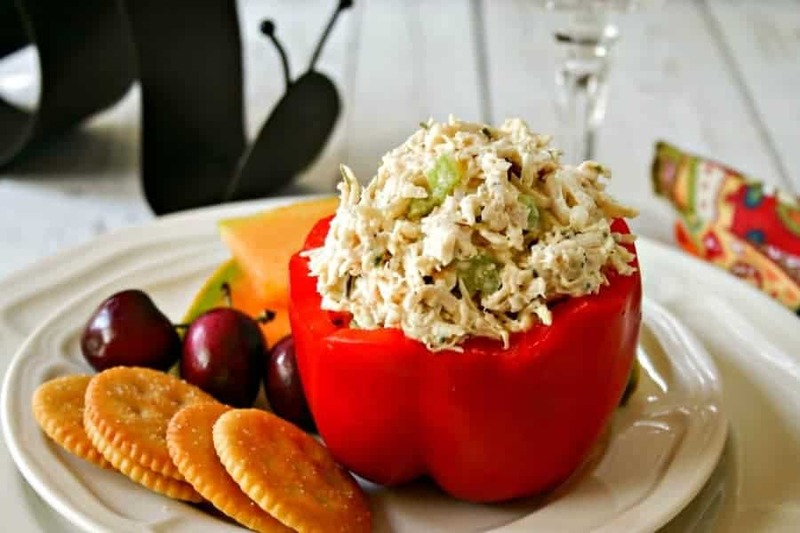 Serve with crackers and fresh fruit or as sandwich filling on your favorite bread. Preheat oven to 350 degrees. Place chicken in a baking dish lightly coated with cooking spray. Bake for 30-35 minutes, or until done. Remove from oven and allow to cool 5 minutes before shredding, if using the KitchenAid mixer technique. To shred with your KitchenAid mixer, cut each chicken breast into 3-4 pieces. Place into the mixing bowl and insert paddle attachment. Mix at lowest speed for about a minute, then slowly increase speed and mix until chicken is shredded evenly, just 2-3 minutes. Remove bowl from mixer stand. To the bowl, add celery, scallions and herbs. Set aside. In a small bowl, combine mayonnaise, lemon juice, mustard, salt and pepper to taste. Pour over the chicken mixture and stir gently until the chicken is coated. Refrigerate until ready to serve. 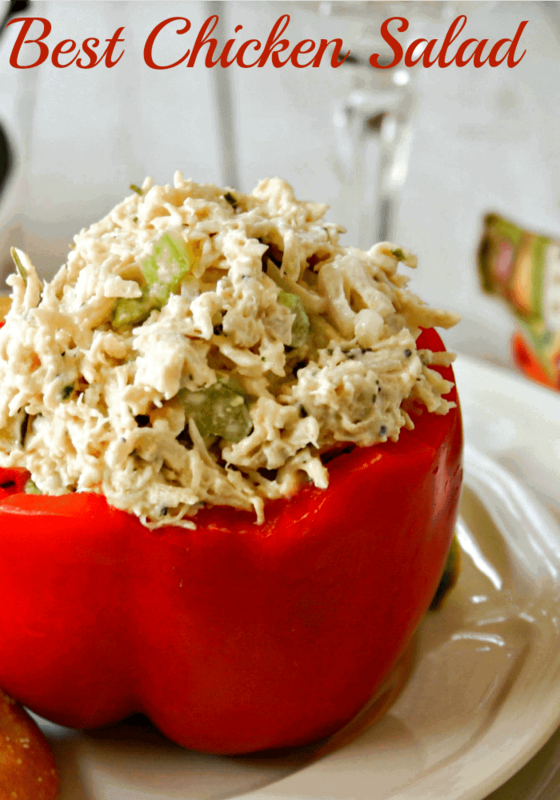 This chicken salad is amazing; my favorite. So glad you liked the recipe!It’s one of my favorites, too.